Iodine deficiency is a major barrier to fertility and increases risk of miscarriage 4 fold. Also decreases IQ, increases rates of ADHD and leads to poor pregnancy and delivery outcomes. We can agree that iodine is essential to health but what has become hotly debated is how does one assess if they are iodine deficient and what dosage is appropriate? Rachel Arthur, ND discusses the overzealousness about iodine that is causing real issues for people. We can not use a sledgehammer on the thyroid gland and taking high doses of iodine is essentially that-hammering a very delicate gland. This has caused real problems in Japan where the government has asked people to decrease iodine intake. Where should we get our iodine and how much do we need are really important questions to ask and get answered. It can really be an obstacle to health and of course fertility. This interview will clarify, educate and answer many of your questions about this powerful trace element. 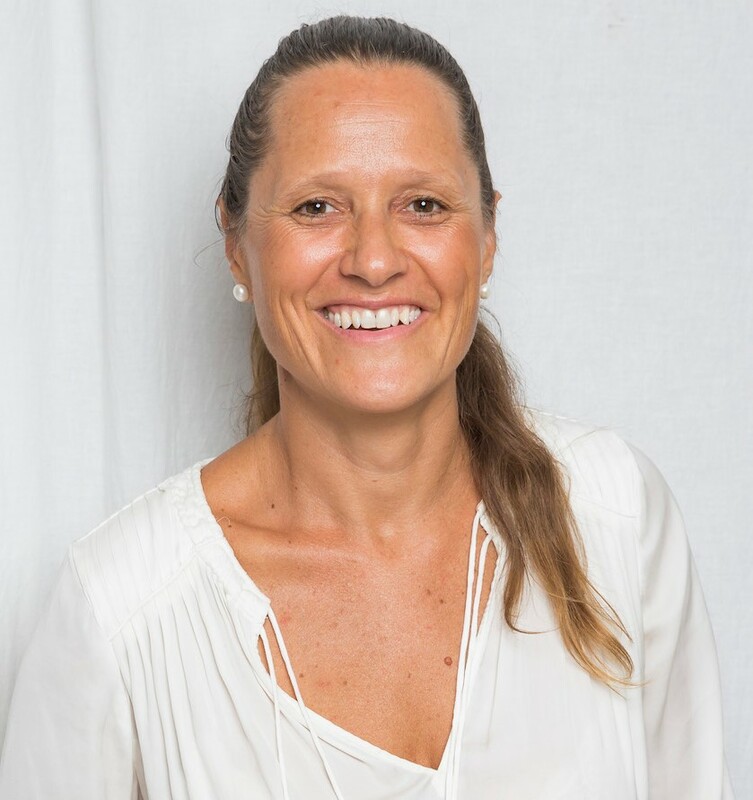 With over 20 years of experience in the clinic and the ‘classroom’ as one of the top practitioners and educators in integrative nutrition and health, Rachel Arthur has attracted a large following of clinicians who value her outstanding independent, unbiased education and leadership. With a particular interest and highly developed skill-set in diagnostics, Rachel is particularly known for developing this in others – from scratch or by rapidly growing their existing knowledge base. Rather than always reaching for expensive, pay out of pocket functional testing, Rachel opens up a new world for many, by maximising the insights and understanding practitioners can obtain from mainstream pathology results for each patient. In this way, she endeavours to truly build the bridge we can all walk across that connects mainstream medicine and naturopathy, nutrition and integrative health. You can find more about Rachel through her website and by following her on Facebook, LinkedIn, and Twitter. Rachel is also the founder of The Worm Whisperer – a site that provides education and information for practitioners and parents on different types of worms using humans as hosts and the effect on their health. As an internationally sought-after presenter and educator, her capacity to keep audiences engaged, stimulated and inspired, while maximising each learning opportunity is renowned. Rachel possesses a wealth of knowledge, accumulated over 20 years through conscientious attention to research and her ongoing clinical experience, which she enthusiastically shares. Essentially, she has a knack for translating complex medical concepts into something every practitioner can understand and apply to improve their practice and patient outcomes today. 2:49 Rachel feels there is an overzealousness about iodine and that has gotten us into trouble. 7:05 One size does not fit all with iodine. The thyroid is a delicate gland and needs to be treated as such. Discussing hitting the thyroid with high doses of iodine. 8:59 The thyroid traps 80% of the iodine. Other tissues in our body need iodine but the thyroid hogs the iodine. Rachel discusses the effects of this. 14:57 Wolff Chaikoff effect-what happens when the thyroid is given milligram doses of iodine. Case studies of inducing auto-immune disease. 19:19 Mega-dosing of iodine defined. 21:59 Major issues with thyroid in Japan largely from iodine excess. 24:40 Assessment of iodine levels-What is the best way to assess iodine levels. Rachel talks about the controversial urine loading test and what other markers she includes. 37:10 Prenatals have iodine in them. Is this dose sufficient? 41:23 Iodine deficiency is a major barrier to fertility and increases the risk of miscarriage 4 fold. Also decreases IQ, increases rates of ADHD and leads to poor pregnancy and delivery outcomes. 50:59 Iodized salt-is it a good source of iodine? Many Countries use it to address their iodine needs. However, questions about aluminum (used often as an anti-caking agent) is a concern. What are the ‘ideal’ recommended sources? 54:20 Rachel discusses taking iodine with a diagnosis of Hashis and Graves or elevated Thyroid Anti-bodies. 0:27 Charlene Lincoln: Welcome back to another episode of The Fertility Hour. Before I forget, I want to ask for your support. We have now been searching the world for top experts to bring to you the best information – practical, functional, integrative. We hope that you’re really getting benefit from it because we’re here for you. So what you can do is support us by subscribing, give us a positive review or any constructive feedback you would like to give, hopefully it’s positive. But anyways, please subscribe. We appreciate it so much. So today I’m honored to have naturopathic physician Rachel Arthur. Rachel is a respected and widely published Australian naturopath specializing in integrative nutrition. 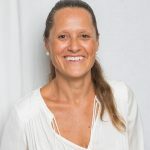 With over 20 years’ experience in both the clinic and the classroom, Rachel has become a leading nutritional educator delivering post-graduate training and mentoring to allied healthcare professionals and doctors alike. She has carved out a career as a diagnostic detective, piecing together all the clues from a person’s health history with an advanced understanding of pathology interpretation and biochemistry to form a coherent explanation and blueprint for individualized management. Notorious for thinking truly outside the box and helping the progress of integrative medicine by challenging outdated ideas and introducing new ones that are backed by better scientific evidence, and regularly asked to speak at key conferences and contribute work to authoritative texts all the while still maintaining her private practice. Rachel’s ongoing enthusiasm for integrative health and for education make her presentations both inspiring and empowering experiences for attendees and attract wonderful feedback. And I guess her 18-year-old twins think she’s pretty cool too, and she did not pay me to say that. They actually do think that. Are they twin boys or girls, fraternal twins? Rachel Arthur: I’ve got a boy and a girl. 2:43 CL: Oh, nice. Jackpot. A lot of people have read David Brownstein’s book and have looked at the research from Dr. Jorge Flechas who I interviewed. There’s a lot of information out there so we need to kind of disseminate the truth. I don’t want to lead people down the wrong path. And there’s a lot of people with Hashimoto’s. Then lastly, if you go on forums like CureZone, if you love CureZone, I love it too so don’t attack me on this but there are some people on there and they’re dishing out advice as if they’re doctors. I know they’re living the experience and whatever but I think they potentially could get people into a lot of trouble who are dealing with health issues. Anyways, let’s talk about iodine. It’s an important essential nutrient, right? We can agree on that. RA: We can. We can start from there. I think that there’s a couple of points that you just touched on that are really pertinent, that are really important to me. I’ve been working in iodine for, you know, I can’t remember when I first had to do my chapter on iodine in of those offered in the texts, it was probably about… hmm, how old were my twins? It was probably about 12 years ago or 13 years ago. When I was looking at iodine, I was thinking “yes, okay.” It’s this incredibly essential mineral that probably hasn’t been given enough attention. Certainly not in mainstream medicine when you understand the weight of its responsibilities, so to speak. But I do think that what has unfolded really in the last 13 years since I did that first literature review is kind of these overzealousness, this overenthusiasm around iodine, and we have seen a kickback. We’ve seen it on a global level and I can talk to you about some of the population studies from Greece and Turkey that have shown with iodine fortification they’ve had increased rates of thyroid disorders, which is sad because it came out of a good place that we’re trying to correct the deficiency in the population. And I can talk to you about it from a one-on-one level where I do see patients in my practice who have done the Brownstein approach, who have done that approach and been under the care of a physician that specializes in that approach and done very, very badly as you say. So I don’t think there’s a one size fits all. I often talk about that the thyroid is very delicate and if we go by treating it with a sledgehammer, no matter what that hammer is whether it’s iodine or something else, we’re going to get a backlash. We’re going to get problems. So I think it just requires, as you said, a bit more thought and a bit more reflection and pulling apart all that information and saying, well, if iodine then who, then when at what sort of doses. 7:05 CL: That makes sense. Because there’s people online saying when people have negative symptoms from it, “Oh, you’re just dumping halogens out of your system and that’s a Herxheimer reaction, and just keep going with it.” So anyway, I definitely want to touch on the studies but I definitely want to keep it very practical because at the end of the day, women are going to be listening and going, “Well, I was told that I probably should have iodine in my diet,” and you should. But, like at what dosage? Why are people talking about these higher doses? To be fair, some people do quite well. I mean, because a woman wrote this book about it that people were having this kind of magical turnaround in their health at like 30 milligrams, like hormone receptors became more active and things like that. So, you’re like, “Gosh, I want that.” Maybe I’m one of those people that can have that. RA: I think that we keep going back to you can say the same for most nutrients. IV vitamin C – some people have all the lights go on with IV vitamin C. There are so many scenarios that, clearly, there’s not a “one size fits all”. It’s about really individualized treatment which is that naturopathic care full-stop. And really understanding that more is not always better, and in fact, in the case of iodine there are some situations people will do well on milligram doses and we can talk about that and how to pick those people. But the majority actually need microgram doses; they need very small amounts because of the delicacy of this gland. 8:59 CL: But that then begs the question, they say that iodine is needed not just by the thyroid but by the ovaries. Isn’t that sort of the argument of why our body needs higher doses? RA: This is a great question and this is undoubtedly where a lot of the interest comes from. So if we can just go back and explain something really simply, the thyroid has this capacity to trap iodine from the blood supply that’s passing through. And its capacity to do this is because of a very specialized doorway. Imagine it’s a real trapdoor that brings in the iodine at extraordinary amounts. So your gland contains 80 percent of the iodine in your entire body, or it should do. We’ve always kind of over focused and going, “Well, iodine is just about thyroid. End of story.” Because the thyroid shows this trapping capacity and you can’t make thyroid hormone without it. So from a very reductionistic point of view, that’s the whole level of interest, is being focused there. What was then kind of discovered and this is often the way in nutrition that starts to open up people’s minds about broader roles, is that this trapping capacity was actually showing in about four other tissues. And everybody goes, “Oh, what are those other tissues?” They are ovaries, breast, skin, and your stomach. These are the major ones. And so quite right it piques our interest where we go: what is iodine doing there? It clearly has other roles beyond thyroid hormone production. It clearly has importance and value to those tissues. We don’t entirely understand it. In the case of breast, we mostly understand that. The reason why the breast tissue can trap iodine and it only develops this capacity in late pregnancy, of course, is to supply the breastmilk with iodine. This does not mean that’s the end of that story for the breast and we can talk a little bit about that. So when we look at women and their breast tissue abnormalities, often there is an association or there’s a line in the sand that we can draw between women who have been pregnant and women who haven’t. For example, we know that women who haven’t been pregnant have increased rates of breast cancer and a couple of other breast pathologies. One of the linking case in there or one of the questions that’s come up since the late 1800s really is, is the connection between breast tissue pathology and this “have you been pregnant? “haven’t you been pregnant?” actually, this iodine, this ability to trap iodine because you only develop that in late pregnancy in order to fuel the iodine supply to the breastmilk. The conversation is much bigger than that. But you’re quite right, it’s not just the gland that needs the iodine. But let me say this: when you give somebody iodine, when I take iodine, I can’t change that hogging mechanism that the thyroid uses. It will grab 80 percent of whatever is coming through. So if you have 15 milligrams of iodine trying to get your ovaries, who got the first share? And how much iodine did that gland get? The average adult thyroid gland contains 15 milligrams. That’s the total amount it contains. Now, if you’ve got these glands that can’t stop itself, it’s kind of the big eater at the buffet, it can’t stop itself from grabbing 80 percent and you throw 50 milligrams at it, it’s “whoa, uh-oh. I’ve seriously overeaten. Seriously I don’t know what to do with this much iodine.” There’s a whole mechanism that gets triggered, and we can talk about that, if you like, about what happens to some individuals when they’ve eaten too much at the iodine buffet table and the gland got hit. You’re trying to get the breast or you’re trying to get the ovaries but you’re going to bombard that thyroid on the way. 13:51 CL: Might as well talk about it. So what happens? RA: So what happens is there’s two things and this phenomenon has been really comprehensively described in science. So again, you talk about CureZone and things like that, and I say, yeah, look, I’m a person of science. That’s my training and that’s my job is to keep coming back to the evidence and say, do we really have the evidence to know what’s happening? And I think we do with iodine. We do know what happens when the gland gets bombarded by way too much in a short period of time. There are two different mechanisms. The first, and they’ve just got cooky names so you just have to let this one roll over the top of your head, but the first one is something called the Wolff–Chaikoff effect. Now, the Wolff–Chaikoff effect is basically the gland goes, “oh my goodness, I’ve got milligrams – way, way too much iodine all of a sudden. What will I do?” We’re imagining of course the gland has cognitive capacity here. 14:57 CL: I like how you’re animating the gland. That helps. RA: This gland here we’re saying is the big eater at the buffet. This gland goes, “Oh my goodness. If I was to turn that all into thyroid hormone, I’m going to be in trouble.” Because too much thyroid hormone is fatal. There’s something called thyroid storm. If I change, converted that all into thyroid hormone, I would threaten my survival. So the Wolff–Chaikoff effect is almost like a shutdown. The gland says “Whoa, too much iodine. I am going to shut down.” What it does is it drops rather than increasing, rather than fueling better thyroid hormone levels, it actually switches off thyroid hormone production. It’s too dangerous. Because if I keep going, I’m going to make too much. Some people would say, “oh, well this has been shown in rats.” My patients aren’t rats. I’ve got patients who have absolutely demonstrated Wolff–Chaikoff over and over and over again. What that means is in those milligram context, not for every individual but for some, what’s happening like you were sort of describing perhaps a little bit yourself. You said TSH has gone sky high – that’s that signal coming from the brain – and their hormone production has actually dropped drastically. 16:35 CL: That happened with me. Okay. Interesting. Now, the comeback to this, is there is a phenomenon called “escape from Wolff-Chaikoff”. That’s what you touched on before. You said some people or physicians will say ride it out, you’ll get over this. If you keep going with milligram doses your thyroid will then kind of recalibrate, switch back on and exhibit benefit. Now that is a phenomenon that has been shown as well. So you can imagine one is called Wolff-Chaikoff and the next one is called escape from Wolff-Chaikoff. So it’s literally saying I went into shutdown but then I got over it. But this is not a given. This doesn’t happen in 100 percent of people who go into Wolff-Chaikoff in the first place. And again, I can show you case study after case study where women have persisted and it just got worse and worse and worse. In fact, I have several instances where they actually developed Hashimoto’s. So not only did they not have Hashimoto’s in the first place, but if we bombard the gland with iodine, the other thing is it increases – it’s a term called antigenicity. What it really means is it alerts the immune system. The more iodine you have in your gland, the more we’re kind of waving a red flag at the immune system going “look over here, maybe you should attack us.” So the really bad end outcome of mega dose iodine when it’s not done appropriately is you actually can induce an autoimmune thyroid disease. And again, I’ve seen that. So this is a really important to understand. Yes, some individuals will get over that shutdown and then kind of recalibrate, but that’s not a guarantee. I hear a lot of patients who are told to go away and come back in three months. I’ve seen people develop real problems in 3 months that you shouldn’t just sit and wait and keep taking the mega doses. I don’t think it’s really safe or beneficial. Certainly not in terms of thyroid health and in terms of preconception care. 19:19 CL: Okay. Can you define mega dose? What’s the range of what you consider mega dose? RA: I guess really when I’m talking about mega doses, I am talking about the… Brownstein’s theories and Brownstein’s protocol and a lot of people that follow that probably are talking about anywhere from 12 milligrams up to 50 milligrams. Now, these are milligrams. We have to remember that the RDA or whatever the benchmark is in your country suggests that adequacy and I’m not bringing this up there and saying this is infallible, but they’re saying that adequacy for a nonpregnant female is 150 micrograms. So we’re talking about hundreds of times the amount that a lot of nutritional researches and a lot of research have come to deem adequate. I think mega dosing for me is really when we’re talking about those milligrams, 30-50 milligrams sort of protocols. 20:29 CL: But what about for a woman once she is pregnant? Because Dr. Flechas when I was talking, he says that he recommends… It seems like he just had sort of a standard dose, but I don’t know, I’m not in his practice but he said that they model it after Japanese women who are taking 12.5 to 13 milligrams. RA: I’m so glad you mentioned this. Everywhere that I speak in the world, when I’m presenting I say “Now, before anybody asks because I can hear you all thinking it,” when I’m talking about being very careful about large doses of iodine, I say, “Before everybody asks ‘What about the Japanese?’” I go, “I’m just going to hit that one head on.” I get so agitated when I hear this because I think how much literature have these people read. And I’m not referring to the people listening to my talks. I’m talking about people who are saying we should emulate the Japanese. I just go, “How much literature have you read on Japanese health, particularly thyroid health and on their perception of their iodine problem?” In Japan it is well recognized from a public health perspective that they have a number of health issues as a direct result of excess iodine. I’m like, why are people not reading this? Why is there so much selective reading going on? RA: I want to touch on it a little bit more. I think, first of all, when people say “the average Japanese woman eats”, I go, okay, there’s a lot of variability in Japan with their diet, with their iodine intake. There’s no doubt that the diet is notorious for containing concentrated iodine sources because they use kelp-based soup stock. That’s where the iodine principally comes from. Even though we’re told the average Japanese woman or the average Japanese person eats around 7 milligrams of iodine per day, when you actually do studies of their intake and you measure their intake and you measure their urinary iodine excretion, the variability is enormous. And it’s probably the 7 milligrams is the upper bracket. It’s not the average. It’s kind of the more extreme consumers. The other thing is, as I said, it’s recognized as a public health problem in Japan. They say: “We have problems because people consume too much iodine.” In fact I’ve got a beautiful paper that I often bring to conferences which found that they talk about when they see thyroid problems in the first trimester and what the thyroid problems are that they’re describing is just this under functioning. It’s just the TSH is a bit high and the T4 and T3 is a bit low. Know what their recommendation is? And this is a public policy in Japan that all endocrinologists recommend. They tell them to stop consuming so much iodine. I go, “yes”, because this whole sort of notion that one nutrient in exorbitant amounts is going to be fabulous to everybody really just betrays the sophisticated nature of nutritional biochemistry. It’s like, it can’t do that. It can’t do that and not throw out a whole lot of other mineral balances and physiological processes and things like that. So I really want people to hear when they’re told that this is what the Japanese do, it’s really a misrepresentation of what’s going on in Japan and what their health concerns are. There are major issues with thyroid in Japan and largely it’s a result of iodine excess and that’s well documented. 24:40 CL: I’m glad we’re having this conversation. Like I said, it’s a controversial subject. There’s a lot of information going around. There’s books, research papers and such. People are confused such as myself, I guess, of what the truth is. When I had my thyroid workup and my TSH was 4.9, I said, “well, what about iodine deficiency?” It was with another practitioner I’m having a conversation and she goes, “That’s so rare.” I said, “That’s contradictory to what’s out there. What about the iodine, I guess, the loading test? Is that the correct?” She said those are highly inaccurate. I was like, “Oh, gosh.” What’s your feedback on that? RA: Look, one of the areas that I’ve particularly researched in and spoken in is about iodine assessment. And poor Charlene, the controversy has just started, let me tell you. If we really want to get controversial let’s talk about assessment. I think one of the greatest frustrations which is what you just experienced firsthand and I feel very acutely is, say for us in a country like Australia – let me go back one step. All minerals are going to be impacted, like our level of minerals, our dietary exposure is going to be impacted by where we live because they’re influenced by geography. So we can make vitamins, animals can make vitamins for us. We can make all the other nutrients. But minerals, they either exist in your soil or they don’t. The amount that they represent in the soil, that’s our deal. That’s what we’re going to get. So across the world we know that there are areas that have very poor iodine content and therefore their population is very vulnerable to iodine deficiency. Then there are areas that have very high iodine content. Not so many but they do exist. In a huge country like Australia we have both. We have areas that are considered uninhabitable, which I just think is hilarious because of course people live there. Because the iodine content is so low in the soil and in the water of that area that the WHO would say that’s not fit for human living. And then we have some much smaller regions in the north of our country where the levels are very, very high. So, iodine is really affected by your location. So when the person says to you, “Oh, iodine deficiency is so rare,” we would kind of wash their mouth out with soap in Australia and say, “Well, actually all the data suggests that it’s incredibly common in Australia.” And I’m sure in certain parts of America. So the first thing here is when we are sitting here in Australia and we say we’ve collected all the data, there’s been a really concerted effort in the last 10 years to capture what the state of affairs is around iodine. That very high-level evidence says we’ve got a problem. Then you walk into a GP, if I walked out this door and I walked into a GP and I said, “Look, I think I’ve got an iodine deficiency. What are you going to do for me? How do we assess that?” That GP will say there’s no test. Right? And I go, “Oh my gosh. Here’s this ridiculous situation.” The way that we have tested in the research is through urinary iodine concentration. So we’ve collected a urine sample of everybody, measured the amount of iodine in there and they say these people are on the low side, these people are okay. But the take-home message from the researches and public health authorities and the medical association is that that’s okay to use in a population but it’s not accurate to use one-on-one. So I go, so we’ve got all these women who want to get pregnant, iodine deficiency is a barrier to that. We know that. There was a beautiful study that I think just came out of the UK this year which found, lo and behold, just low iodine seem to be impairing fertility rates. I go, “yes, of course it is” because you need normal thyroid hormones to mature eggs. You need good thyroid function to maintain the pregnancy through the first trimester. If you don’t have good thyroid function in the first trimester you get very high rates of miscarriage between weeks 4 and week 8. That’s really early. A lot of women would just think, “Oh, it just didn’t happen. I was barely pregnant.” But in fact, what this could be alerting them to is that there was a thyroid problem underneath, and that thyroid problem, of course, could be secondary or the result of iodine deficiency. So I still use urine iodine. I use a random sample which is the mainstream collection method. So no loading, no nothing. So we just do a random collection of iodine of urine, but it’s not so random. Okay? Some of the big things that get missed and I think this is why we’re being told it’s not accurate for the individual. One is that there is a diurnal variation in iodine content in your urine. What that means is even if you didn’t eat all day, the iodine amount in your urine would change and that is because it reflects thyroid patterns and thyroid hormones change over the day. So I always say to women we make this urine sample not random at all. It has to be first thing in the morning. It has to be a fasting stage. We collect it at the same time and then same scenario every single time so we’re comparing apples and apples every time. The other thing that I do is that we make sure that in the same urine sample which most labs do, they measure something called creatinine. That just means that we are not going to be tricked by a really strong dehydrated kind of urine or tricked by a really dilute urine. So I can correct that result, that iodine result and say, well, based on the concentration of urine how much iodine were they really pumping out. So that’s the first thing. The second thing is, I never use urinary iodine on its own. Okay? So urinary iodine, the iodine that we find that we’re measuring in our urine is just a reflection of what you consumed over the past 3 days. So you’re saying, “well, how helpful is that? It doesn’t necessarily tell me all about a longer period of time or about how my thyroid is going.” You’re quite right. It doesn’t. All it’s telling me is if you ate a representative diet over the last three days, where are you sitting? Is this working for you? Is this not working for you? That’s what I’m checking in with. It also gives me some sort of measure as well. Sometimes you pick up unexpected things like somebody who seems to be eating lots of iodine and it’s not coming out, and you go, “That’s weird.” So then you have to look for other explanations or somebody who didn’t realize or didn’t think they were consuming a lot of iodine, but by seeing the urine result, you think, “Oh, my goodness. Where is this coming from?” We have to go back and do a bit of detective work. But what we do is we put the urinary iodine result and say, okay, that’s reflective of the last three days on what they’ve been consuming. Then I look at their TSH and I look at their T4. So TSH being the basic communication between the brain and your gland. The more that brain is screaming as in the louder that or the greater that TSH number is, the more likely it is that the gland is calling out for iodine. Now that’s not always the explanation, but again, I’m not looking at one thing on its own, I’m piecing it together. So I would look at urinary iodine, look at TSH and then look at the T4 level. Now here’s something that’s born out of my experience. You can’t make thyroid hormone without iodine. It’s a non-negotiable ingredient. So when I see women and they could present with anything, they might be getting ready to have a baby, they might be in other circumstances. But if the T4 level in a woman is 15 and over, I would find that really unlikely that they’re iodine deficient. Extremely unlikely that they’re iodine deficient. Because you just go, well, how did they make their T4 a 15? How is that possible? Because all of that’s loaded with iodine, the gland regulates itself. If there was a deficit there, it would not be putting out that much T4. It just wouldn’t. And as I said, this is born out of not only my experience but all the literature that says that the gland is very adept at regulating itself. So if there was a deficit coming in, if every time that the gland is going to the buffet table, there’s not a lot of iodine. The thyroid starts to modulate how it behaves. One of the things it does straight away is it starts to drop the T4. It does not produce or release nearly as much T4. So if I’m sitting and looking at a woman’s results and I go, “well, that T4 is 15, even 14…” I’m going, I think you’re iodine deficient. You couldn’t make that much. You wouldn’t be pumping out that much. So whatever the rest of the evidence says, we have to sort of reconcile all those pieces of information to form a really balanced opinion. 36:19 CL: I have a question. So when you’re testing the iodine levels on a woman, you’ve already done a thyroid workup and there’s some indication, either low T4 that’s making you go to the next step. Like the iodine test, you’re not doing it across the board for everyone. 36:39 CL: Okay, got it. RA: Yeah, that’s right. Because I think that the iodine test on its own is misleading. You go, oh, and it represents the last 3 days and – do you know what I mean? But I do think that there’s a place for it, like you say. If I thought “oh, that TSH is a bit high”, “oh, that T4 is a bit low”, then I would say, well, what is your iodine doing? Are you really getting as much as you think are and what more is there to be storing? 37:10 CL: Got it, okay. Most women I think who are having fertility issues, hopefully they’re getting a full thyroid work-up. But I think in most prenatals, don’t 100 percent of prenatals have iodine in it and is that sufficient? I mean, it’s sufficient or it’s not because it’s still an individualized thing as we were talking. 38:11CL: Yeah, me too. The little girl with the umbrella in the blue box. RA: Okay, that’s it. Because in Australia it was public health policy. In Australia from the 19… I’m going to get it wrong. But prior, somewhere around the 1930s to the 1970s, we knew we had a major iodine problem so we said, “okay, everybody eat iodized salt.” Then in the 1970s, that public health message fell away and nobody ate iodized salt anymore. Then as I said, in the last 10-15 years, kind of the public health organizations in Australia were kind of worked up and going “Oh my goodness. That iodine problem, it didn’t go away because we’re still living on the same land.” And nobody is eating iodized salt anymore. So this re-inspired all this new research and information gathering, okay how big is the problem, okay the problem is really big. And particularly big in pregnant women and women wanting to get pregnant. So, the next step in the data was okay, what are we going to do to fix this? Well, they’ve given up on the iodized salt plan. What they’ve decided was that they were going to use iodized salt in our bread, so all commercial bread is fortified with iodized salt. They thought “okay, this will fix it.” It’s kind of medicine for the masses. We can’t teach people how to look after themselves. We just bent it. So what happened then was we’re now getting the data read which is looking at post fortification, how did that change things for women. Not much is the answer. Particularly pregnant women. Then a study that was published in 2016 said, okay, post-bread fortification in women also taking a prenatal formula which had good levels of iodine at a minimum of 150 micrograms per tablet of the prenatal formula – did that fix it? And when we looked at this particular group of women, fortified bread plus the prenatal, they found that there was still about 30 percent that were deficient. Pregnant women. So we’re going, “right.” A prenatal will certainly be enough and the answer for some. But for some individuals, it just is not enough of a gap filler because, still, 30 percent of pregnant women deficient is pretty outrageous really, given that we’ve now got it in the bread. Women who are conscious enough to take a prenatal formula as well. So I think what you said, it is always that individualized question or individualized management. Will prenatal cut it for most people? For a lot, it’s great that their prenatal contains iodine. For some women, that just won’t be enough. 41:23 CL: I could see that really starts a cycle. Let me see if I can put it altogether. It seems like a lot of times not full thyroid workups are happening and TSH is just tested. I may get lost in the thought. But I think that women can kind of go along for quite a long time and be that 30 percent that are quite iodine deficient and never get that corrected. RA: Absolutely. I think the other thing when we’re talking about pregnancy, fertility, reproductive health, iodine is so immediately relevant because as we said before, we know that we have enough iodine. It may be your barrier to fertility, it may be your barrier to conceiving. We know that with those very subtle thyroid problems, these are not big thyroid issues. This is not somebody who goes “Oh damn, I’ve got Hashi’s” in the first trimester of their pregnancy. These are very subtle thyroid issues that increase the risk of miscarriage fourfold. Fourfold in that weeks 4 to 8. So we know that not attending to the thyroid, first of all we know that, like you said, there can be thyroid problems that go under the radar all the time and there can be iodine deficiency that goes under the radar. It’s very, very easy to miss. But it could be a major thing. That’s how I’m doing. When we get past that first trimester and so a woman says “Well, that’s great. I managed to conceive. I managed to hold the pregnancy” to keep that baby during the first trimester, if that woman was iodine deficient, you would be none the wiser unless you ran the labs. Right? A couple of things about this, and one that was probably the most alarming, sort of lightbulb moment for me, was that I thought, “okay, what does iodine deficiency do in pregnancy?” Well, we know the worst outcomes and these are severe, these are generally not seen even in Australia, is cretinism. So the baby will be born with mental retardation as a result of impaired neuro development. Okay, so we’re not seeing that, even as bad as our iodine problems are, we’re not at that level in Australia. Come back a step from that. What are the outcomes to the offspring? We know reduced IQ, hearing impairment, increased rates of ADHD. There’s all these things that we might just go, “Oh, this is who he or she is,” not knowing that actually it was an iodine deficiency during the pregnancy that set up the stage. The other things are that we know that there are poor pregnancy outcomes, delivery outcomes for women when there is an iodine deficiency. So, there’s so many levels at which this iodine deficiency is going to play a part, but going back to my lightbulb moment, which was in pregnancy, in the first 12 weeks, you supply all the thyroid hormone to your baby. So in the first 12 weeks, you want your T4 levels in particular to be looking pretty good because that’s the hormone that’s getting transferred across the placenta and then the baby is doing their own conversion, so to speak, where the placenta is doing its conversion through to T3. From week 12, the baby makes their own. Extraordinary concept, right? So the fetus is making their own thyroid from week 12 all the way through to term? So you go, okay, pressure is off of me in terms of T4, mostly. But where’s that fetus getting the iodine from? From me. So I now need to have not really peachy T4 levels, I’ve got to have an iodine level, an iodine that I can keep this fetus, to make their own thyroid hormone from week 12. Now for the mom, you’re quite right, it is. Mom goes, “Thanks very much. I’m not feeling ridiculously fatigued.” This is how it slips under the radar. Because, you know, my T3 is okay. Here’s the scary lightbulb moment. The fetus, their thyroid has no capacity to adapt. The fetus is going, “I need iodine. I’m going to make T4 and T3 in set ratios.” I can’t change those ratios. I don’t have any compensatory ability, yet, developed to deal with an iodine deficiency. So you can have what we call a euthyroid mom. So mom’s labs look okay. She’s not feeling particularly bad, but you can have a hypothyroid baby or a hypothyroid fetus. 47:55 CL: Right. Yeah. I’ve been reading about that and I was like, okay, that’s how it’s happening. There are many researches that agree with that, that say, “Absolutely, that’s what we should be doing.” Each trimester checking in again. The problem is, research doesn’t always sit well with, let’s say, public health or medical practice because it’s expensive. No one wants their patients to come in every trimester and get a smorgasbord of labs because it’s expensive. But is it best for us? I would argue, absolutely. Is it the right thing to do to the best outcomes? Yeah. 49:14 CL: Okay, so let’s pause for a second because I’m just putting myself in the shoes of someone listening right now and I don’t want their head to kind of spin. I mean, kind of the takeaway message and correct me if I’m missing it, is that, one, you need to be working with a functional or integrative practitioner who kind of lives in this world. You need to have a full thyroid panel. Based on that thyroid panel, there’s going to be certain indicators – high TSH, low T4, that’s going to make them think, “Ha, maybe we should check your iodine levels,” and then based on that, then dosing requirements are made because it’s not one size fits all. Because there’s like you said in Australia, about 30 percent of the population who needs more iodine than is found in prenatals or in just the normal diet. Now, a question about salt. When I was interviewing Dr. Flechas, he was like, just get sea salt with iodine. But I also read from another source that a lot of the iodine evaporates from salt and then that isn’t even really a sufficient source for the rest of us that are severely iodine deficient. 50:59 CL: He said sea salt. He said sea salt, not table. RA: Yeah. So sea salt will probably still have an aluminum level. I think that’s what stops it from clotting and caking and things like that. But you’d have to check your particular product. So I hear people say, “Oh well, you wouldn’t want to do that because aluminum is bad and it’s not good for your thyroid”, which, aluminum in very high doses is bad for your thyroid. And then I hear this quantum leap of the iodine in the iodized salt won’t work. How does that happen? So let me just set the record straight in that regard. Iodized salt, as you know, Charlene, is the global intervention for iodine deficiency. It’s used in so many countries around the world. When you kind of asked me this question beforehand “does the iodized salt work?” I was having a bit of a chuckle to myself and I was like, “Well, millions of Chinese, Bangladeshis, Tibetans, Australians, etc. would tell you ‘yes.’” Like you can’t look at the data from these countries where they’ve introduced iodized salt and go “it doesn’t work.” It does. It massively increases their iodine exposure. And iodized salt is on a whole different level. I don’t know where all your listeners are but in Australia we’ve got great excitement around Himalayan salt. I always, again, have a little bit of trouble with that Himalayan salt because I say to people just Google Himalayan region goiter. Because the Himalayan area where these salts apparently come from, is notorious for iodine deficiency. So if you think you’re going to get iodine out of Himalayan salt, think again. It’s not really in there. So, iodized salt is a reasonable vehicle. It is a good intervention for iodine deficiency. “The only thing that I’ve used. Is it perfect? Is it…?” No, it’s bigger than that. We want women, want everybody to eat a diet that contains iodine from different sources, from salt water sources. It has to be from the ocean, not fresh water. That’s where your seaweeds and your fish oil and seafood are going to be the richest in iodine and really give a significant contribution to your iodine intake. There used to be a good iodine supply coming through from dairy products as well. But that was because the dairy industry used to actually clean all the milking equipment with iodine-based sanitizers. Now, amazingly, that had a knock-on benefit for humans. Most of the dairy industry had stopped doing that now and we’ve seen, again we’ve got data which shows milk before in terms of the iodine content and the iodine content in milk now which has radically dropped. So, that’s a shame. For most of us, we are still looking to the ocean to really get the bulk of our iodine supply. But absolutely iodized salt has a place in there as well. 54:20 CL: Yeah. I was kind of probing Dr. Flechas because I was reading about the high dose and he definitely wouldn’t go there, though he mentioned about the Japanese studies of 12.5 milligrams. But he was like, “no, iodized salt, that’s to be sufficient.” So I think he wanted to stay away from the controversy around that and he wasn’t seeing a patient one-on-one so he’s not going to give out that kind of information. I was reading somewhere and I know that it’s more complex than this, but there are some people with autoimmune diseases such as Hashi’s who are told stay away from iodine. And someone was saying that iodine has like antiseptic qualities, it has a kill-off quality inside the body and so that is part of the bad reaction with autoimmune diseases, is it’s killing off the virus but it could do it too rapidly. Is there any validity to that? RA: I’m not really sure. I’m not sure about the validity to that. I mean, there’s no doubt that iodine is an antiseptic. We used to use it to clean our water when we were traveling and it would taste awful, but yes, we used to do that. Paint our cuts and sores with it, we still do in Australia. So there’s no doubt that it’s antiseptic. Its primary antiseptic action really happens in the gut. So how much iodine behaves as an antiseptic when it’s not on your skin or in the gut is debatable. I think I am very cautious. If you’re listening to this and you go, “I have Hashimoto’s,” or, “I have Graves’”, and we’ll talk about Graves’ separately because I think it really does require a separate mentioning. One of the things I was going to say to you before, Charlene, and I just skipped over it was when I was talking about this is the way I would assess iodine: I would do urinary iodine, I would do TSH. The other thing that I always put in there, and I don’t know, it should be reasonably accessible for your listeners too, is thyroid antibodies. Now, the reason why I put thyroid antibodies in there is very specific. There is one type of antibody. So there are three types of antibodies against the thyroid, roughly speaking. There is one type called thyroglobulin antibodies. So they’re thyroglobulin antibodies. Most medicos do not pay them much attention because they’re not the major one associated with an outcome. Right? They’re not the pathway to Hashimoto’s necessarily on their own or the pathway to Graves’. But what’s so interesting about these antibodies is if you have them and a lot of people do, then to me, these warrants caution around iodine. These would put my patient in the microgram rather than the milligram. Because those thyroglobulin antibodies, they go up with more iodine. That’s just what they do. So you’re going to increase your autoimmune problem if you give more iodine to patients who have these. So a lot of Hashi’s patients have those and I think that’s one of the biggest cautions for me around that. But I also have patients who don’t have a diagnosis who have those but I’ve seen them get worse with iodine treatment. So I think it is good to be very mindful about what your individual risks are and those thyroglobulin antibodies are a real warning sign. Graves’ patients, again, different schools of thought. You’ll have all sorts of people telling you “Ah! High dose iodines do fine for Graves’.” I would argue that it’s not and that you should stay away from it. Because in Graves’ disease, of course, what we have is unchecked excess thyroid hormone. So you give more and more iodine to that, you’re going to potentially fuel a real problem and it certainly has been shown to trigger relapse in patients who have Graves’. So I think we do need to be cautious in those two groups. 58:55 CL: No, not exhausted at all. I feel more like, I don’t know, moderate in my thinking of iodine. It’s like sinking in for me. And I get it. Like what you were saying in the beginning, there’s people who are like “mega dose this and you’re going to feel fantastic.” I want those results, and I know that there’s a lot of fallacy in that type of thinking. But sometimes you get desperate or in fantasyland about things. But I feel like you brought a lot to the table and really explained it. 59:35 CL: Yeah, in a great way. So thank you so much. Anyways, I’m going to interview you next month I guess about worms, right? And I hope we can keep that light and some actionable steps too because anytime there’s parasites or worms, it’s kind of heavy. RA: Look, worms, they are a pet topic of mine, pardon the pun. And it is so relevant to women’s reproductive health. People are going to get a lot out of the discussion and I promise, we’ll keep it light. I promise they will be very clear take-home messages. It’s going to be a real eye opener for people for sure. 60:17 CL: Okay. Are we going to be just, like, you know, who was that naturopath that wrote that book about parasites? Hulda Clark or something? 60:25 CL: Oh my God. You read that and you basically want to live in a bubble. You are so grossed out after that. RA: I mean, there will be gross moments for sure but there will be much more light at the end of the tunnel. 60:39 CL: Yeah. Basically how to protect ourselves because we all can be hosts to different things. 60:47 CL: Okay, good. Thank you so much and I look forward to talking to you in a couple of weeks. RA: Yeah, great. All right. Talk to you then. 60:54 CL: All right. Appreciate it. Bye-bye!